The Green Building is available as a filming location in the Gowanus neighborhood of Brooklyn, New York. 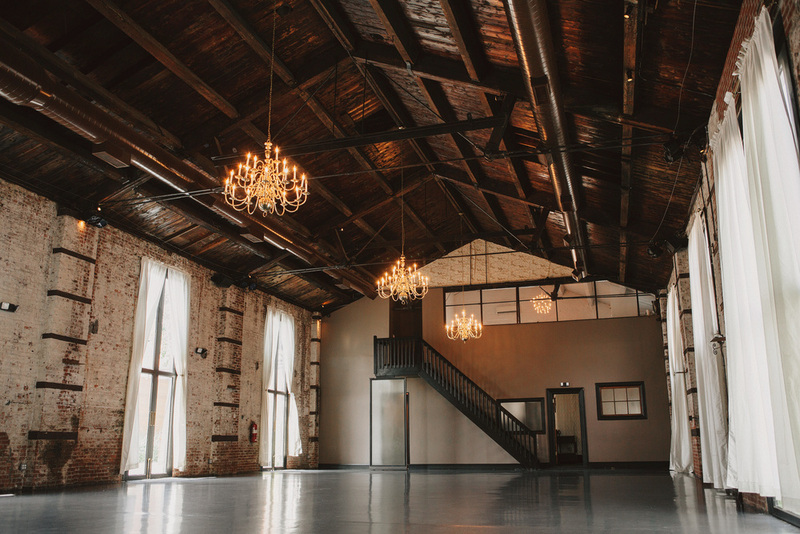 Our original exposed brick, wood beam ceilings and rustic charm make for an industrial backdrop for your film production or photo shoot. Use our venue as a character in your scene or as holding for talent and crew while you shoot close by. Because we offer indoor and outdoor space, the Green Building can often be styled to look like multiple locations and backdrops, each with a unique vibe. And our sister venue across the street 501 Union can be used as additional holding; no need to shuttle your crew around to different locations! Our pricing varies depending on the size and scope of your project. Please download our Production Kit below, or request a quote to schedule a location scout. Total number of people on site including cast, crew, and client. How much does it cost to book a shoot? Our rates vary depending on size and scope of the production. Please fill out the contact form above to receive an accurate quote. A 50% deposit of the rental fee is due at the time of contract signing along with a security deposit. The security deposit is refunded 10-15 business days after the shoot provided there are no damages or overtime to assess. The remaining balance is due 30 days before the shoot. If the shoot is booked within 30 days of the shoot date, payment is due in full at the time of contract signing. Do you have space for catering / holding / base camp? Yes. If available, our sister venue across the street, 501 Union, can be rented if you need additional space. What is the height of the space? The walls are 17.5 feet, and the highest point of the ceiling is 24 feet. The Green Building is a warehouse venue in Gowanus, Brooklyn, a largely industrial neighborhood nestled between its residential neighbors Park Slope and Carroll Gardens. Yes, please contact our in-house food and beverage partner, Purslane Catering, for information. They offer anything from gourmet boxed lunches to buffets for large groups. Yes, outside catering is allowed. Can we use a fog or smoke machine? We cannot accommodate fog machines of any type. Special effects must be pre-approved. Confetti, loose glitter, fog machines, sparklers, and open flames are strictly prohibited. Do you have a green room or private space for talent? Can we rent by the room? All rentals include full access to the venue with only one production per day. Can we block off parking on the street? You must request a permit from the city. Can we remove the chandeliers? All four chandeliers can be raised or removed with prior consent. Do you have lighting and grip equipment? No. We recommend Eastern Effects down the block for equipment. Where can we find supplies in the neighborhood? Lowe's, Staples, and Whole Foods are all within a few blocks of the Green Building.